South Salem is a hamlet in Lewisboro, Westchester County, New York. 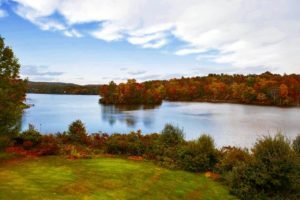 The county ranks second for wealthiest counties in New York State and the ninth wealthiest county nationally. In the town center is a post office, the town hall, a library and a recycling center. 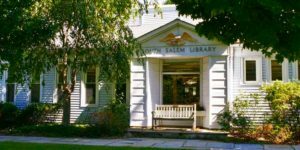 Situated roughly 50 miles from Manhattan, South Salem is close to the Connecticut border and convenient to Interstate 684. Though there is no Metro-North station within South Salem, residents can drive to Katonah, Goldens Bridge or New Canaan, Conn., for trains that travel to Manhattan. South Salem itself includes a variety of distinct areas. In the lake communities, residents pay an association fee and have access to Truesdale Lake and Lake Oscaleta, among others. There are also newer subdivisions with large houses and modern amenities, as well as older homes. Enjoy nature as intended in this country hamlet. Beautiful landscapes and properties combine with a peaceful atmosphere to make South Salem a desirable destination. Residents can take the train from nearby Katonah and arrive at Grand Central in around 50 minutes. For more information on South Salem please Click Here.